Living in: Glen Ellyn, Illinois. Lee Kesselman has been Director of Choral Activities at the College of DuPage in Glen Ellyn, a suburb of Chicago, since 1981. He is Founder and Music Director of the New Classic Singers, a professional choral ensemble. He also directs the DuPage Chorale and College of DuPage Chamber Singers. A native of Milwaukee, he holds undergraduate degrees in piano and composition from Macalester College in Saint Paul, Minnesota, and a master's degree in conducting from the University of Southern California. In addition to teaching and composing, Mr. Kesselman is active as a conductor, pianist, clinician and lecturer. He is music director for a variety of opera and musical theatre productions. He was chosen the Outstanding Faculty Member at the College of DuPage for 1994-95. Displaying 1-48 of 48 items. Based on Benjamin Britten's opera A Midsummer Night's Dream, Op. 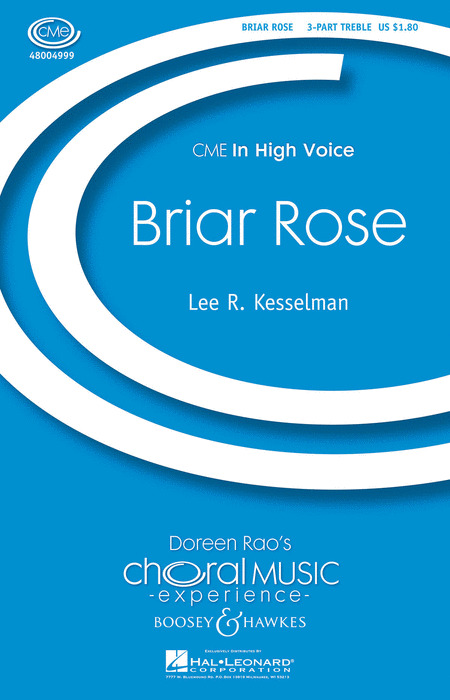 64, this 15-minute choral suite has been arranged and adapted, yet remains true to Britten's original score. The added introductory lines, using words of Shakespeare, help to frame each chorus. This work presents an excellent opportunity for young singers to experience the operatic works of a great twentieth century composer. Duration: ca. 15:00. Performed by Concert Choir of ANIMA, Lauren Sklar, conductor. 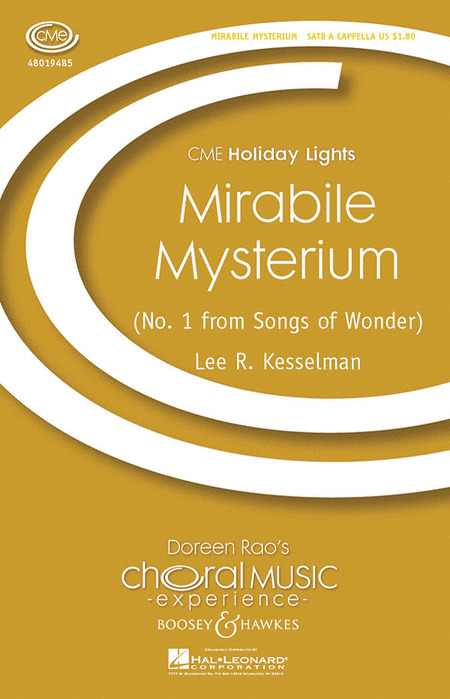 Already chosen for several All-State choral festivals, this exciting choral fanfare is the perfect concert opener. The text, in Italian and based on lines from Dante's Divine Comedy, speaks of goodness and love. The sound of non-pitched bells will establish a special mood for the night ahead. Duration ca. 1:40. Performed by Women's Chamber Ensemble, Michigan State University, Sandra Snow, conductor. 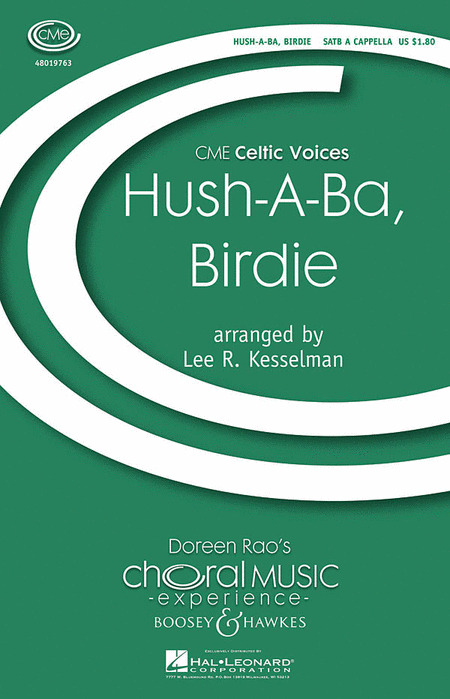 Based on the Scottish folk song that describes the River Afton, this arrangement provides a charming and romantic work for a cappella treble voices. "Afton Water" is the first of four movements from Kesselman's Scottish Folk Song Suite. This charming song demonstrates Mozart's ability to create a delightful vocal miniature in the pastoral tradition. Sung with simplicity, beauty and ardor. Duration: ca. 2:45. The words of the mortally wounded King Arthur reflect on life and the quest for ideals; the music artfully gives life to this wisdom. Using short, crisp phrases of language and repetitive musical motives, this work is infused with energy, purpose, playfulness, surprise and humor. For mixed voices, contrabass or cello and piano. Duration: ca. 6:00. While this song has become one of the most familiar in our culture, oft used for ushering in the new year, it remains a heartfelt air, extolling enduring friendship and waxing nostalgic over the passage of time. With Piano (or Harp). Lindsay Kesselman's poetic words provide wonderful material for a choral art-song. The words speak of a Nature connected to people and their Souls. This short, 3 line prayer has found favor from presidents to world leaders and the solo fisherman. Here it is set as a simple, a cappella duet for treble voices. This is a wonderful benediction for worship as well as a lovely concert piece for young singers. A joyous fanfare, heralding the great news of birth in the time of darkness. This piece is full of precise rhythms and should be sung with breathless enthusiasm. THe Navajo people sing of all things in the world-the heavens, wind, clouds, rain, sun, moon, lightning, rainbow, earth, mountians and all growing things. Based on traditional Navajo, this song is a blessing of the created world. The music has been adapted to make it easier to sing. With drum. Duration: ca. 1:15. A traditional Scottish lullaby, this setting flows with the harmony that makes the music of this region so appealing. Singers will bask in the richness of tone needed to create the beautiful vocal lines that Mr. Kesselman has written. Hwayana yaMwari is composed in the spirit of choral music heard at the Episcopal Cathedral in Harare, Zimbabwe, in the summer of 1993. Shona is the majority tribe in Zimbabwe and its language. The text is the Shona translation of the Agnus Dei of the Mass Ordinary. Matching the sensuous poetry of the Song of Songs with the swirling rhythms and melodic modes of Jewish folk dances, this second movement of Song of Songs is as dramatic as it is virtuosic. A warmly romantic love song of true beauty. 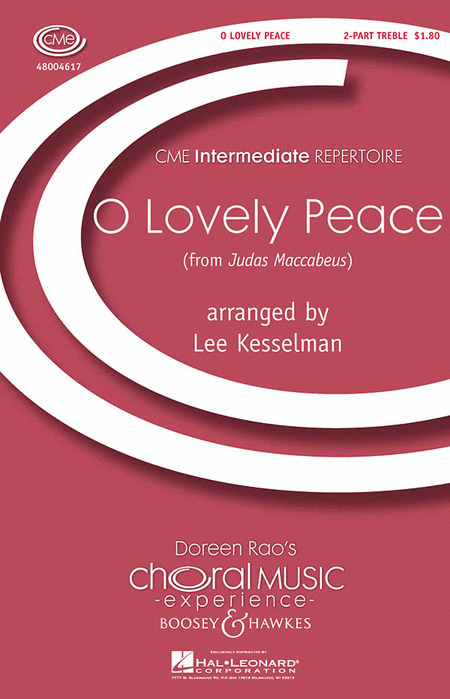 Tender lyricism and vocal richness make this piece a rewarding conclusion to the full Song of Songs, or a fine concert selection of its own. With piano. Originally created for solo voice, this arrangement will give young voices the opportunity to perform a brilliant American artsong in an idiomatic arrangement with solo clarinet. In a world filled with intense divisions of faith, we often forget our common ancestors, the common pillars of our religious heritage. 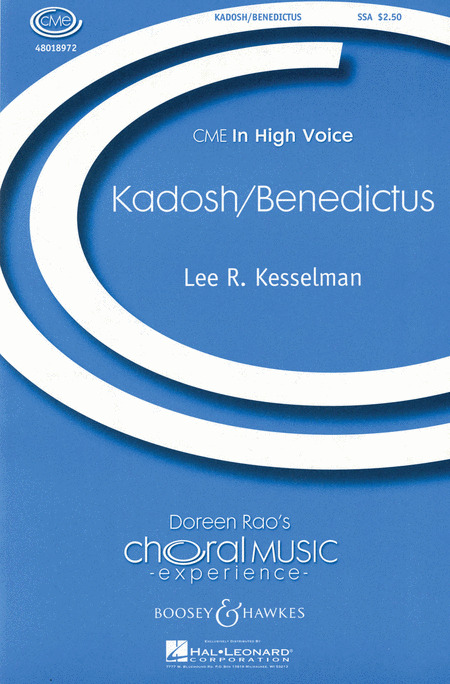 In this work, the composer has mixed the Hebrew and Latin texts of the Sanctus and Benedictus texts, which derive from the Old Testament. This is one of the most famous of all Scottish song - a song of friendship, of love, and of parting. Mbiri kuna Mwari is composed in the spirit of choral music heard at the Episcopal Cathedral in Harare, Zimbabwe, in the summer of 1993. Shona is the majority tribe in Zimbabwe and its language. The text is the Shona translation of the opening section of the Gloria of the Mass Ordinary. The first movement of Nights in Armor, a four-movement suite evoking the legend of King Arthur as related by Alfred, Lord Tennyson. "Merlin's Riddle" is a quirky, dance-like incantation, in which the famous sorcerer prophesies Arthur's coming. Out of a single note, a single moment in time, arises the Great Mystery, revealed in the Christian tradition at Christmas time. After opening with a haunting unison chant, bass ostinato evokes the dry, dustiness of a camel procession in the desert, and an Eastern-sounding melody in the sopranos transports you to another time and place. Known as Dublin's unofficial anthem, this Irish tune is bright and energetic and captures the warm and generous spirit of the Irish people. Like so many Irish folk songs, this tells an endearing story, one that will capture the imagination of your singers. Here is the unofficial anthem of Dublin City. Already available for SA voices (48023731), this new arrangement for SATB choir and piano is a worthy addition to the Folk and Celtic traditions. With excellent program notes included, your singers will be able to capture the spirit of this folk song through Lee's challenging arrangement. Munoera (Sanctus) is part of the Shona Mass, an original work composed in the spirit of music heard at the Episcopal Cathedral in Harare, Zimbabwe. The text is a combination of Shona and liturgical Latin and may be performed with SSA or TBB a cappella voices and percussion. Djembe, claves, shekere, and hand drum parts are included in the score. Renaissance composer Orlando di Lasso used this Latin text for one of his works and Lee quotes this musical motive in this new and contemporary composition. The text speaks to the power of music to calm angry souls and uplift sad spirits, to even move the very trees and the wild beasts. This work and the di Lasso would make excellent companion pieces on a concert. Duration: ca. 5 minutes 40 seconds. Written for the Wheaton College Christmas Festival, this work with a text by Christian mystic, Hildegard of Bingen, should feel very free, personal and almost improvisational. The close harmony requires careful attention to balance among the parts and is worthy of any fine women's choir. One of the most popular of Handel's English oratorios, Judas Maccabeus received at least 54 performances during Handel's own lifetime. The work was a great success at its premier and has maintained its popularity throughout the 19th and 20th centuries. These two biblical texts combine to evoke an image of community, the River which contains all of us, yet which still falls short of the Universal Spirit. With Piano, Bass and Percussion. Built on the pentatonic scale so emblematic of Japanese folk music, this piece can be accompanied by piano and almost any treble melodic instrument. The music is simple but with grace and beauty. With a text deriving from the Latin and Hebrew phrases for grant us peace combined with a message from Pope John Paul II spoken in 1981 at the Peace Memorial Park in Hiroshima, Japan, this work reminds us of the destructive nature of war and the healing nature of peace-making. For mixed voices with optional bowed crotales (antique cymbals). Duration: ca. 6:45. This Yiddish lullaby from around the turn of the 20th century is derived from a Russian song by Mikhail Lermontov. Amid the uncertainties of this world, there can never be too many lullabies, reassuring children that all will be well. The original language of Yiddish is included throughout but optional English is offered for the middle verse. The Isle of Skye, off the northwest coast of Scotland, was home to Flora MacDonald, made famous by aiding the escape of Bonnie Prince Charlie following his defeat at the Battle of Culloden in 1746. 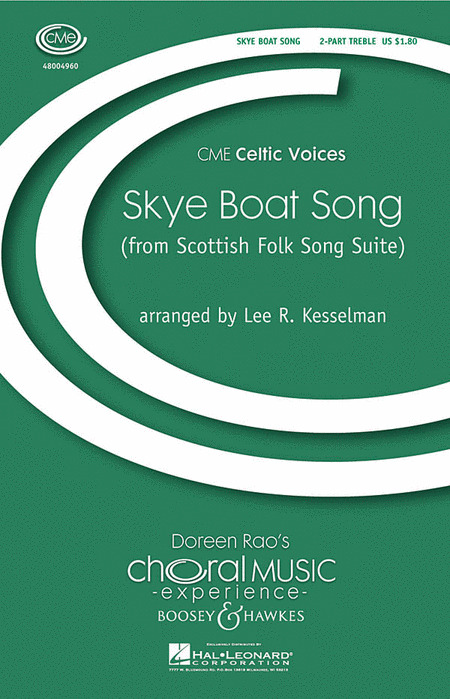 The Skye Boat Song is not only a narrative. It is also a tribute to the Romantic history of Scotland and one of its great heroines and a nostalgic reminder of the greatness of the Scottish way of life and its traditions. The first of three movements from Kesselman's Song of Songs, this dreamy and lovelorn reverie gathers pentatonic melodic phrases sung over a harplike piano accompaniment. It's a dance piece! Let the rhythm and accents hold sway as the piano rolics and the singers tease, tempt, cajole and invite the Bonnie Lassie! The second movement of Nights in Armor. This imagined poem from the knight Lancelot to Queen Guinevere expressively calls forth feelings of unfulfillable love. Written for the composer's first grandchild, this song is one of remembrance, fondly recalling the joys of family life and home. It is to be sung simply and with tenderness, like a lullaby. Along with the opportunity to introduce this Scottish melody to your singers, there is also the pleasure of singing in the wonderful Celtic dialect. The life of Oglala Sioux holy man Black Elk (1863-1950) spanned the tragic decades of the battle with Custer at the Little Big Horn, the ghost dance, and the massacre at Wounded Knee. In 1930, Nebraska poet John G. Neihardt went to the Pine Ridge Reservation to try to find some original sources to interview about the great spiritual traditions of the Sioux. He found Black Elk and proceeded to interview him over the course of the next two years. The words of The Sacred Hoop are taken from Neihardt's classic volume, Black Elk Speaks. A peaceful and reverent song, painting musical impressions of nature's grace and the holy love that sustains it. A delicate piano accompaniment embodies the richness and fertility of the natural world. Sprightly, teasing music celebrates the joys of living in the moment, boldly blind to its consequences. These two popular Swedish Christmas Carols, Nu Ar Detv Jul Igen and Nar Juldagsmorgon Glimmar, capture complementary aspects of the Christmas spirit. Nu Ar Detv Jul Igen is in the style of the Hambo, one of the most popular of Swedish folk dances. At Christmas time, the Hambo is danced around the Yule tree by children gaily singing these playful verses. Nar Juldagsmorgon Glimmar is a more expressive carol, filled with the magic of Jesus' birth in the humble manger. Throughout the arrangement, the dance carol should be sung lightly and accented, with a dancing buoyancy. Nar Juldagsmorgon Glimmar should be sung legato with expressive lines and should never be covered by the quicker carol. This popular religious folk ballad delivers lots of expressive feeling and, in this satisfying arrangement, added harmonic interest from an accompanying viola or cello.